I’ve never seen Fritz give a gambit such a lopsided evaluation! Still, it’s tricky and I lost the game. I probably would have fared better had I not fooled myself into thinking I knew the theory. The first option, and in my opinion the best try for white, is to not take the bishop at all. If someone prepares a gambit you know they’ve prioritized the lines where you accept the sacrifice. This enterprising move tries to restore normalcy. White wants to capture the h8 rook and hunker down with his extra material. He gives back his pilfering knight but wagers that his king can be protected. Black will get a passed e-pawn as a dangerous weapon, not to mention superior development. 6. Kf1 Qe7 (The only move. It offers a threat to white’s king if he goes for the loose bishop later. This also threatens Rf8 if white doesn’t capture the rook immediately. It’s a useful developing move that also functions as a way to force white’s hand. With every other try black will find himself down too much material to generate real chances. b) After 7…Qc5 I recommend 8. Qe2 for white. 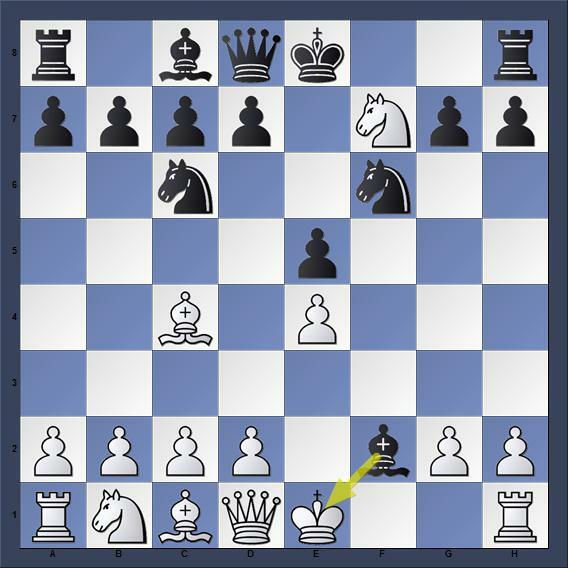 Black will play d5 shortly to activate his bishop and deprive white of his kingside light squares. It’s less a chess game than it is a street fight; the longer the latter goes on the less your chances of coming out on top. 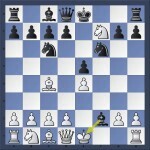 However there is absolutely no intuitive way for white to know where to land his king. His seventh move, if inaccurate, will make defense impossible. 7. Kf1 was the beginning of the end for me and I didn’t even know it! Next time we’ll look at some other variations in this fun and interesting opening. This entry was posted in Chess Openings, Uncategorized by . Bookmark the permalink.